New Delhi: The bonhomie over the opening of the Kartarpur corridor between India and Pakistan has not yet died down, but Pakistan seems to have shifted its focus back to its long-term plan to increase its defences in the region surrounding the holy Sikh site. The Sialkot exercise is particularly significant, given its strategic location in the Shakargarh Bulge, a prominent region which juts into Indian territory near Pathankot in Punjab and Kathua in Jammu and Kashmir, and lies very close to the highway connecting J&K to the rest of the country. Kartarpur also falls within this bulge. Bajwa claimed in Sialkot that “our experience of sub-conventional operations is an addition to our combat-worthiness”. However, this is not all that the Pakistani establishment has been up to in the area. 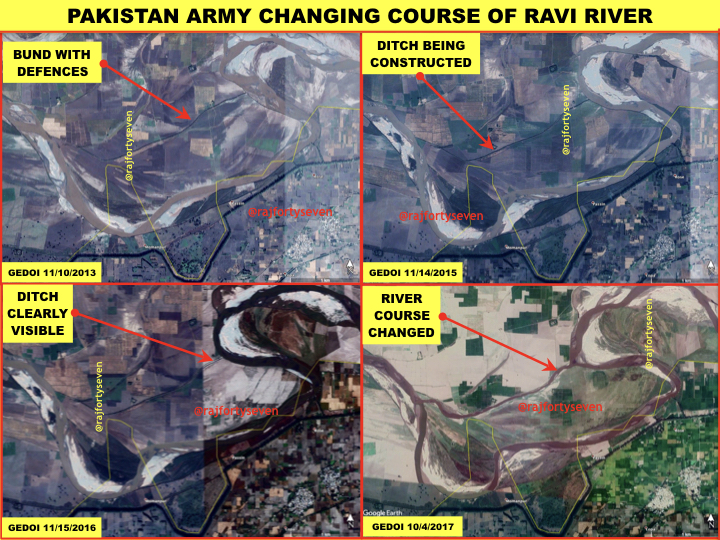 Satellite images analysed by ThePrint indicate that there are actually three different activities being carried out, including strategic planting of subsidised trees to impede armoured vehicles, the inundation of open spaces near Baddomalhi and Narowal with water from rivulets, and, most importantly for the people of India and Punjab, changing the course of the Ravi river that flows along the border. During previous wars with Pakistan, India has fought bitter battles in the Shakargarh Bulge, and won significant victories. 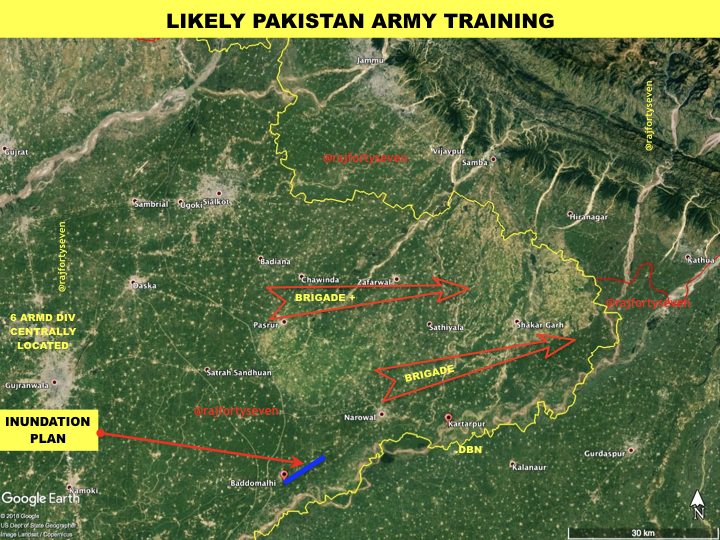 The Pakistan Army believes that India’s main thrust would come in this area, especially in a ‘Cold Start’ situation. In the aftermath of Operation Parakram — the standoff between the armies of the two countries after the 2001 terror attack on India’s Parliament — the Pakistan Army extensively improved its defences in this area. It has two divisions stationed in Sialkot Cantt for quick deployment. The construction of Sialkot International Airport also has certainly increased Pakistan’s capability to airlift forces in this area. The new bridge over the river Chenab has reduced the travel time from Gujrat to Sialkot to merely 45 mins. All this is an indication of the importance the Pakistan Army would give to the Shakargarh Bulge in a future war.